← We’re 23 months old! Ask anyone who has known me for years and they’ll tell you that Christmas is one of my favourite times of the year. The twinkling lights, stockings hung by the fireplace with care, presents wrapped and under the tree before mid-December, all because of my love of the season. This year; however, I’ve been finding it harder to dig out the Christmas spirit. I’m not sure if it’s because this is the first year being single over the holidays – though we were separated last year at Christmas, I thought then that perhaps we may work it out – or maybe it’s how busy I’ve been at work, or how much there is to do with the kids. The fall has flown by me with nary a pumpkin spice latte to be had, and the next thing I knew, everyone else was in full Christmas swing and I was still thinking it was September. Cards have not been sent, or even arrived yet, presents lay around the house, unwrapped, waiting for me to prepare the packages, surprises, and while going through the motions, I hardly feel the swell of Christmas spirit inside me growing like the Grinch’s tiny heart. And all the while, Braeden has asked for decorations, for a tree, for visits to Santa, and countdowns to Christmas. So, I did what every mum would do in the same situation, I plastered a big, jolly smile on my face, and make sure we do his Minion Advent every day, that we sat on Santa’s lap, that presents are bought and will get wrapped, and even that we celebrated at his school party. And, oh the tree. 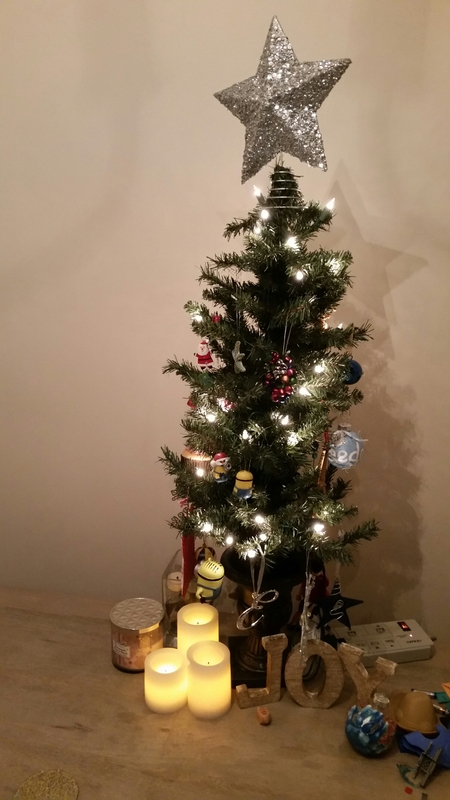 When living in America, it became tradition to put the tree up the weekend of American Thanksgiving. I donned a pink sparkly Santa hat and cheerfully trimmed the tree with ornaments I’ve collected on my adventures while Christmas music filled the air. But this year, the tree sits still in its box, and Christmas music has been limited to my one woman show of Baby, It’s Cold Outside. Yet, my oldest wanted a tree, and while I’d love to spend the time to beautifully set one up, I knew Raegan couldn’t resist potentially pulling it over onto herself, and the energy it would take was just not going to be pulled out of thin air. So, the season may be different, it may be a bit lonelier, a bit toned down, but the whole point, the reason I love Christmas so much, is still here, in awe of everything, and swelling this Grinch’s tiny, cold heart. 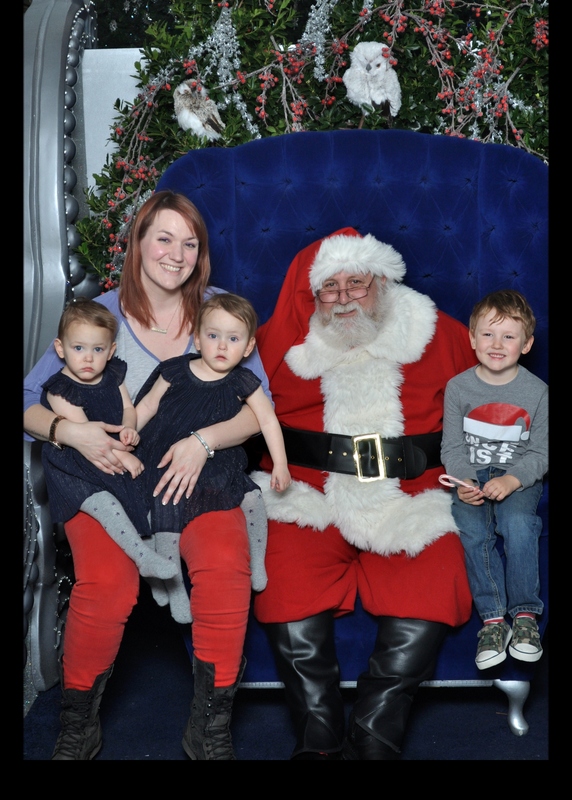 This entry was posted in Home is where the heart is, Mamahood and tagged cerebral palsy, Christmas, holidays, identical, momo, mono mono, motherhood, NICU, parenthood, preemies, preschooler, separation, single parent, special needs parenting, toddler, twins. Bookmark the permalink.